The unforgettable conclusion to New York Times, USA Today and internationally bestselling author Julie Kagawa's Iron Fey series.The Iron Prince--my nephew--betrayed us all.He killed me.Then, I woke up.Waking after a month on the brink of death, Ethan Chase is stunned to learn that the Veil that conceals the fey from human sight was temporarily torn away. Although humankind's glimpse of the world of Faery lasted just a brief moment, the human world was cast into chaos, and the emotion and glamour produced by fear and wonder has renewed the tremendous power of the Forgotten Queen. Now she is at the forefront of an uprising against the courts of Faery--a reckoning that will have cataclysmic effects on the Nevernever.Leading the Lady's Forgotten Army is Keirran himself: Ethan's nephew, and the traitor son of the Iron Queen, Meghan Chase. To stop Keirran, Ethan must disobey his sister once again as he and his girlfriend, Kenzie, search for answers long forgotten. In the face of unprecedented evil and unfathomable power, Ethan's enemies must become his allies, and the fey and human worlds will be changed forevermore.Don't miss the first book in Julie Kagawa's highly anticipated new series, SHADOW OF THE FOX, AVAILABLE OCTOBER 2, 2018"Julie Kagawa is one killer storyteller. ""Julie Kagawa is one killer storyteller." 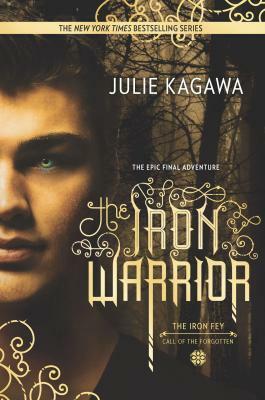 --Justine magazine"Fans of the first 'Iron Fey' series will be interested in seeing Meghan and her family again, while new readers will find enough detail to help them jump right in and enjoy the magic, adventure, and touch of romance."